Tonight, we attended a sing-along with a group of people from our tribe, the Church of God. 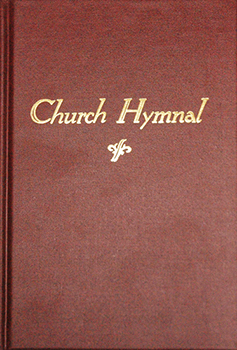 We sang the songs from the old red back hymnal, the stuff of my parents’ generation. I went because I was invited. I much prefer more modern music and more updated forms of worship. But tonight wasn’t about me; it was about my heritage. On the way to the event, I told my wife what song they would sing first – I nailed it. The leader announced page 393, “When We All Get to Heaven”. This stuff runs deep in my blood! As we sang these songs, both Letha and I laughed a little, thinking about our childhood, and we cried a little, thinking about our loved ones. It was more emotional that I thought it would be. I haven’t heard some of those songs since I was a kid but I knew every word. As much as I enjoyed this evening, I do not believe that we need to go back to the way things were. In fact, that is impossible. People who try to do that get trapped in the past. But there is great value in having roots. Our heritage is very important; it helps to steer us toward a great future. I am glad we attended the event tonight. I am not looking back, I am moving forward as fast as I can. But tonight was an important glance in my rear view mirror. I am better because of it. Funny…I still remember the numbers for Blessed Assurance from Gospel Pearls (#27 if you were curious:).